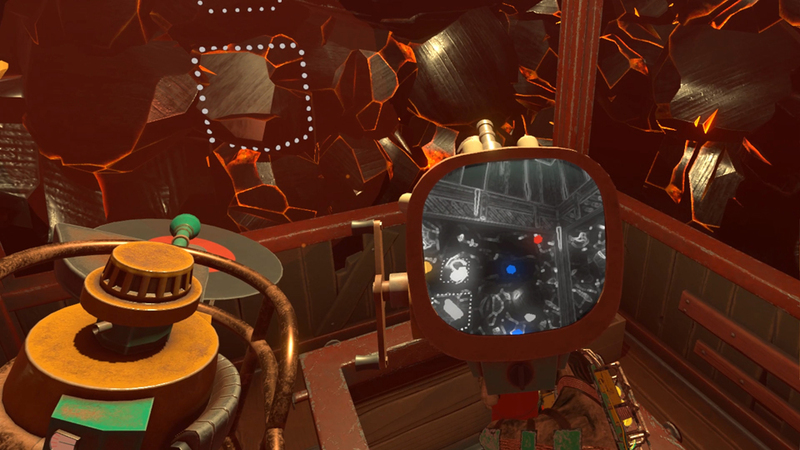 For those who love the task simulation genre in VR, we PSVR users get an odd little gem that has been available on the PC side for some time as a more limited free version with paid DLC. Your task here is fairly simple, hack at the surrounding rock faces and recover loot and artifacts to upgrade your stuff so you can destroy more walls to acquire more loot and upgrade all that sweet stuff. This is your new home so you best get comfy! Move controllers are your only option and you start off in a small square mining elevator armed only with a pick axe. Each side of the elevator typically has a rock face for you to destroy though every now then you might get something more scenic. Click-turning and teleportation are your only movement options, but seeing as how the play area is so small, I took much less offense to this then if were a larger game. Any loot you find must be dropped into a chute in the center of the elevator and just to add to the stress of it all, you have around a minute or so to do so before the game closes the windows and moves you deeper into the mine. 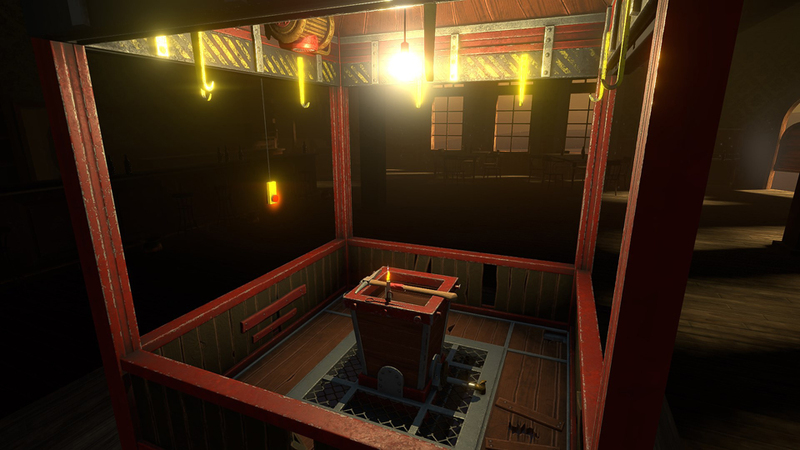 After playing 3 stages, the elevator brings you back up to the surface where you can buy a host of helpful tools like dynamite, an x-ray gun, drill and host more items that can be upgraded the longer you play, provided you have enough loot. That’s it really, without spoiling too much. Some of the items you buy have mini-quests attached to them with the game boasting a variety of endings, many of which are tied directly to some those items. Cave Digger looks great, though is very confined with you (almost) never leaving the elevator. As such the world around you is what changes with most levels having rocky faces to smash, though you may encounter magma pool, some caverns with mushrooms growing within arms reach (hint, hint) and few other oddities I’ll keep secret. Lighting effects are nice, especially the explosions and all your items animate as they should whether you are chipping, drilling, sawing or blowing up rocks. The game doesn’t do anything exceptional in the visual department, but everything here looks and behaves like it should making for a visually smooth experience. Not much in the way of audio other then effects that match the action and some background music when you head back to the saloon/shop where you purchase your goods. An old-timey radio in the shop puts out some comedic lines as the voice on the other end details worldly events or describes an item in the store and just like the visuals, the audio is totally fine. My 1st time playing this game was incredibly underwhelming as I was just destroying rocks for loot for seemingly no other purpose then a high score. It wasn’t until my second run where I started to have a lot more fun experimenting with the game and really focusing on trying out everything Cave Digger threw my way. There is no explanation about any items in the game and that left me confused as to how many of them were supposed to work. Pick axes and saws are easy enough to figure and using dynamite isn’t exactly rocket science, but when I first bought a bucket, I could not figure out why the heck I needed it. That applies to a few items in the game and the upgrades as well with some just leaving me absolutely baffled as to how to use them. I’m assuming this is an intentional mechanic from the developers to have the user figure out how things work but I think a little explanation would go a long way on those 1st playthroughs. 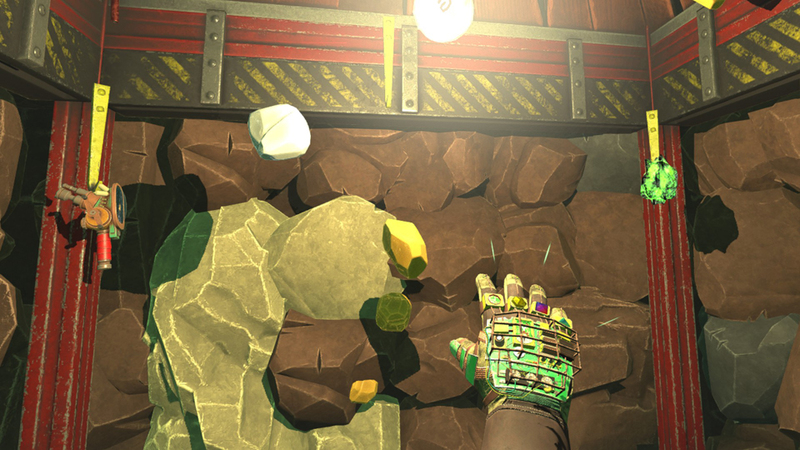 Regardless, trial and error will have you figuring out when to destroy, cut or drill the rocks and soon enough you’ll be raking in the loot. I did run into a few glitches like spawning outside the play area, being incredibly short or having my tools disappear, though for the most part it was easy to work around these issues and restarting the game puts all your items back in place. When you figure out all the things this glove can do…it’s pretty sweet! Cave Digger: Riches is a game that relishes in its simplicity with each playthrough taking around 30 minutes or so. This lends itself well to the replayability of the game if not just see if you can’t unlock all the endings that are offered here. 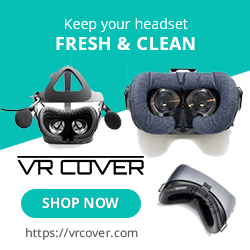 It’s a friendly VR game that anyone can pick up and play and has a bunch of funny and cool features to discover that should keep most people entertained for a couple of hours. What would I pay? The $10 asking price on this is great. After my 1st 20 minutes in the game, I thought “this is it? !’…it’s not, and I’m looking forward to seeing if I can’t find all the game’s humorous endings and the challenge to get a higher score in this one is also addicting. Mekiwi provided a press code for this title and, regardless of this review, we thank them for that!